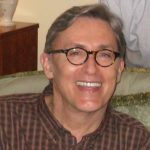 Richard Sullivan PhD is a social worker with over 40 years’ experience in child & family services and child welfare practice and research. He is associate professor emeritus with the UBC School of Social Work. Current research, in addition to SARAVYC’s investigation of circumstances conducive to help-seeking among LGBTQ youth, includes a study of the “Geographies of Care” focussed on perceptions of safety and supervision needs among families in various cultural communities. He is also studying the reliability of child welfare screening in high conflict custody cases and serves as Associate Editor of the International Journal of Social Work Research.